Trevor Sindorf, a 2008 member of the Carolina Crown, submitted this photo and caption. 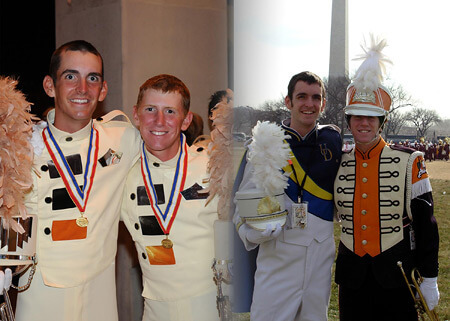 After completing the 2008 season with Carolina Crown, my bus seat partner Tyler Dieterich and I returned to our respective colleges, the University of Tennessee and the University of Delaware. On Jan. 20, we ran into each other in the staging area for the Presidential Inaugural Parade in Washington, D.C. We took this photo in front of the Washington Monument as we prepared to march down Pennsylvania Avenue.